ArtCarved rings are famous for their intricate metal workmanship which feature remarkable engraved designs carved into the bands. ArtCarved wedding bands and engagement rings utilize feminine floral and Grecian styles, while the men's wedding band collections, including ArtCarved tungsten rings, are often crafted with a solid, streamlined look. 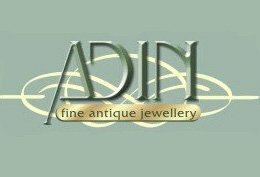 To find out if ArtCarved is the perfect designer for your wedding and engagement rings, use the helpful info below including company history, popular styles, ring prices and more. 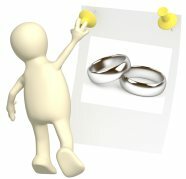 And if you have any questions about ArtCarved rings, or you would like to send in comments, reviews or pics of your beautiful ArtCarved wedding bands just use the comment box at the end of the page! 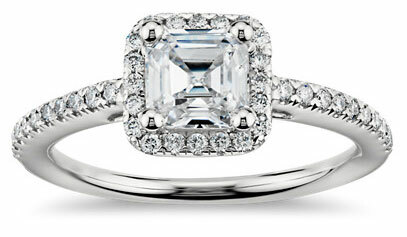 EWR's Favorite Designer Wedding Ring Picks! 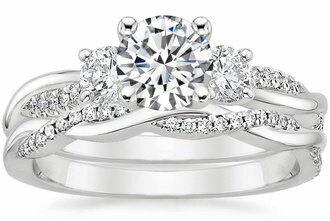 The ArtCarved company has been in business since 1850 and is credited with being the very first jewelery designer to create seamless wedding ring styles to improve the comfort of every day wear rings. 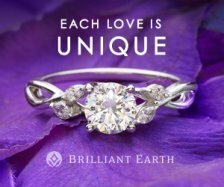 ArtCarved is now one of the most respected wedding ring designers in the business due to the meticulous craftsmanship, innovation, and singular wedding ring styles available through this designer. ArtCarved is one of the few designer wedding ring companies which offer rings in a variety of metal mediums including: platinum, palladium, 14k and 18k white or yellow gold, tungsten, titanium, and black titanium designer rings. 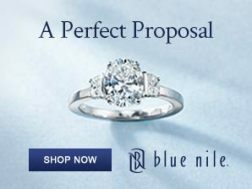 Engagement rings are available in solitaire and 3-stone designs, and matching designer wedding bands. ArtCarved wedding bands are available in a number of designs from clean seamless styles to the ever popular Signature Carved floral bands. 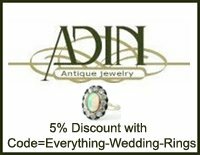 The prices for ArtCarved wedding rings vary, but most ArtCarved wedding bands are very affordable with prices of $200 dollars and up. 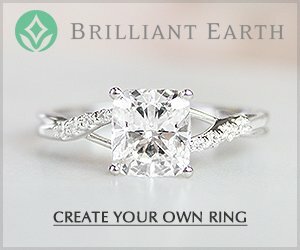 ArtCarved engagement rings are usually higher priced due to their intricate designs, metal engravings, and use of solitaire center diamond or multiple diamonds, with prices of around $2,000 dollars and up. 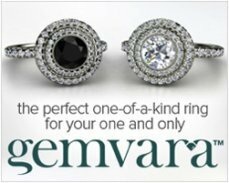 ArtCarved has a firm policy against conflict diamonds, supplies lab created gemstones in some rings when possible and is a member of the No Dirty Gold initiative. 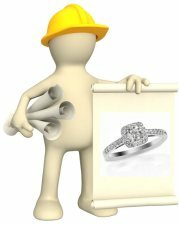 All ArtCarved wedding band and engagement rings are warrantied against defects, and ArtCarved also offers a convenient lifetime forever fit warranty, just in case a customer's ring size changes. 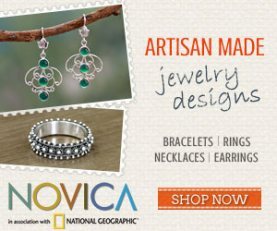 ArtCarved wedding rings at this time are only available through authorized jewelers. Visit the ArtCarved website to view the engagement ring and wedding band collections or to find authorized ArtCarved jewelers in your area. 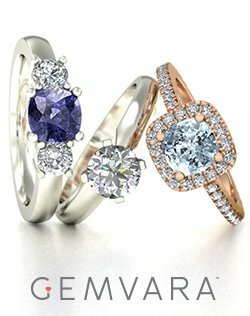 Do you have questions, comments or reviews about ArtCarved wedding bands and engagement rings? Send in your questions, comments, reviews and pics here!